The lake is now starting to fill and in essence “back fill” the lower river. 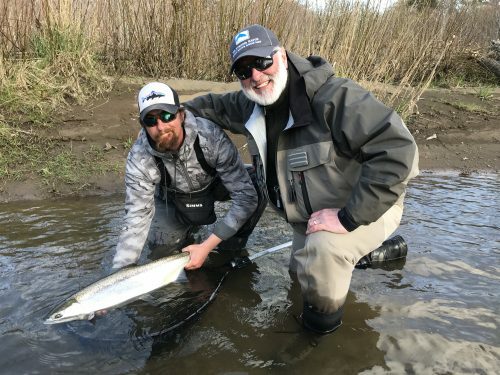 Fishing overall this spring has been average to good — typical. All rivers in the west / northwest will have plenty of cold clean water this year. The swing game has slowed down and the nymphing has become a mainstay…..
We have some dates available on the UC…. 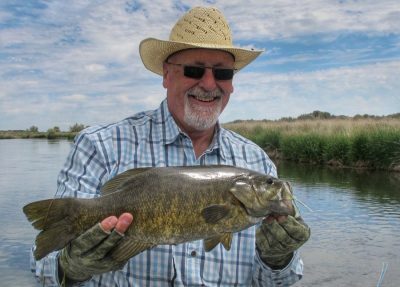 We are close to Smallmouth Bass activity on our favorite desert drift stream….. 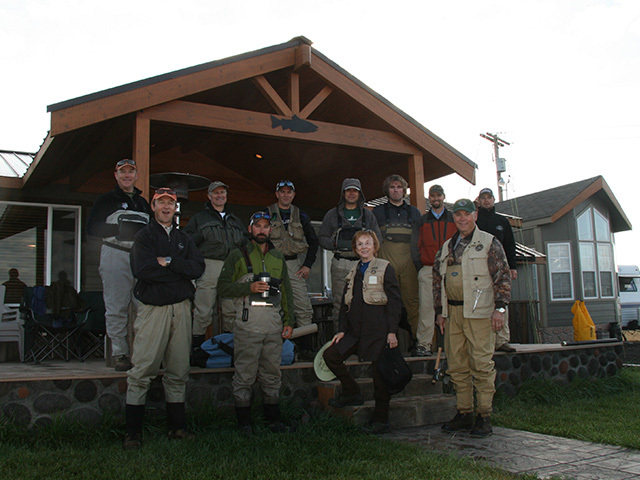 Recently we have caught some great trout and even a big Walleye out of the little river….. The Smallmouth are coming sooooon! 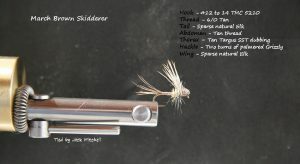 If you are up for some Topwater action, give us a call! For many years they have been trying to figure out more storage for water in our basin. We really haven’t started melting in the higher elevations and our basins are almost full. They will need to release a lot of water soon. We should have cold clean water this year. Currently the Bug De Jour really is the March Brown. There are other insects for sure, a few Skwala and Blue Wings, but the key insect is the March Brown. 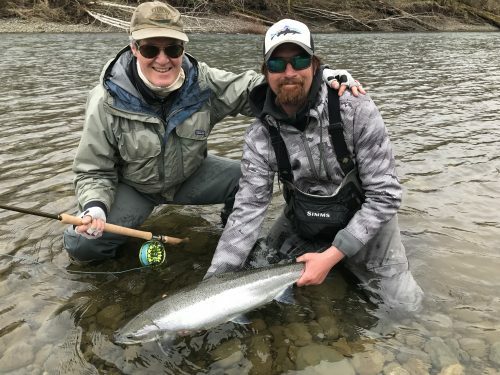 Reasonable fishing recently on the Upper Columbia. 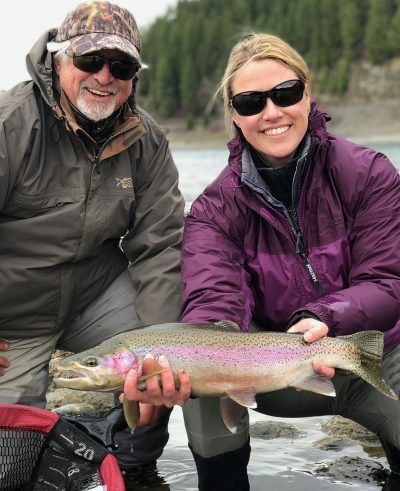 Below is a great Father / Daughter photo with a nice trout. 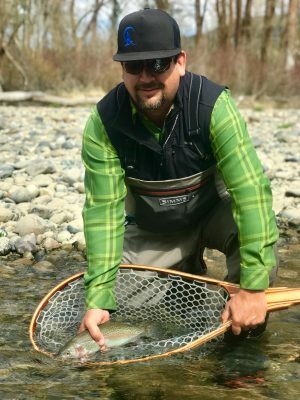 Predominant techniques include nymphing and swinging…No dry fly fishing yet. Probably won’t see that for awhile. There are some Midges and Blue Wings. 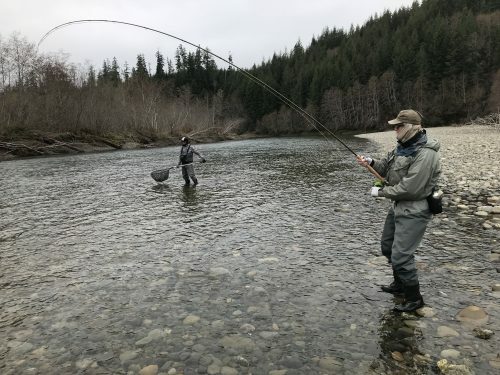 The river is in GREAT condition. Not much for bugs currently but certainly some good swinging. 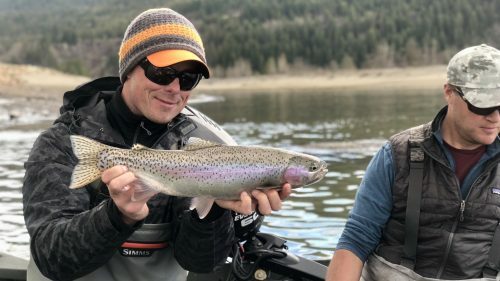 Stable weather patterns make for better fishing on the UC. 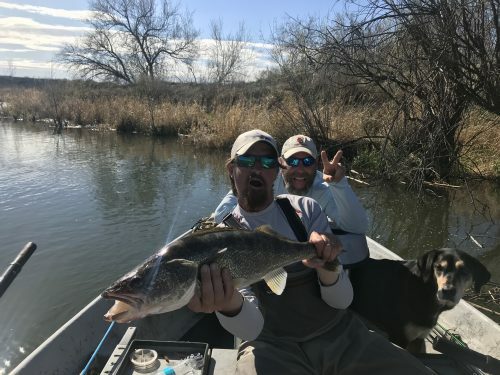 The lake level is low and the flows at the border are average. 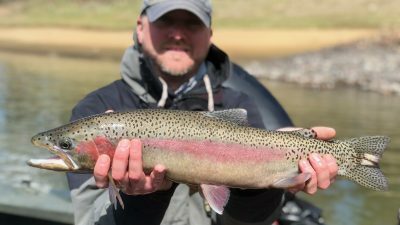 A variety of lines and tips to match the depth and flow should be part of the arsenal. 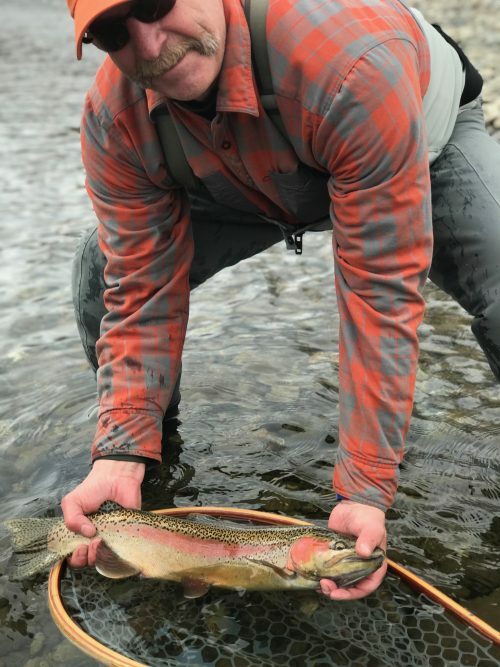 Sculpin’s to Catch All’s have been on the menu. 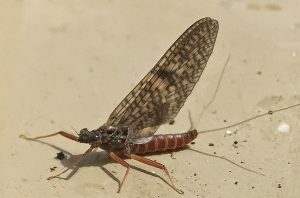 March Browns are Clinger Mayflies that emerge quickly in riffles. A variety of patterns can be effective. One of my favorites over the years is shown below. 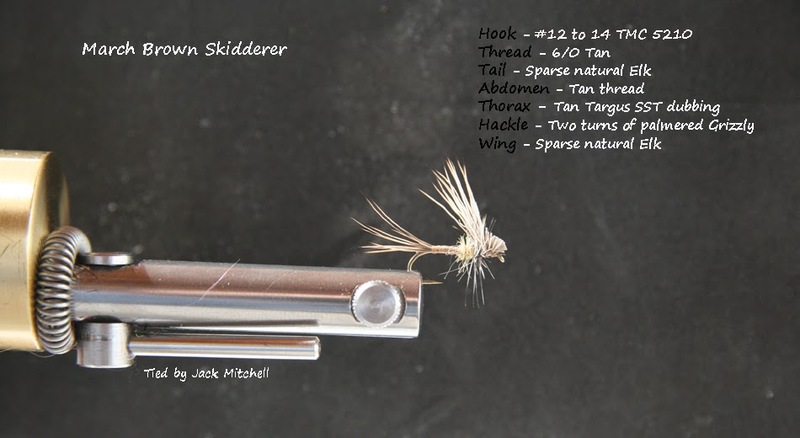 The pattern is designed as a dry fly but can also be swung as a wet fly if needed. 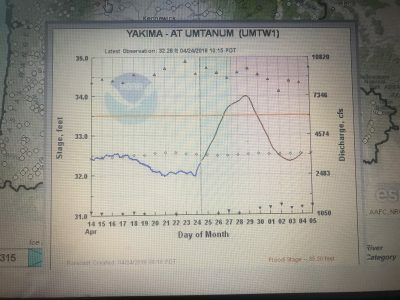 Current Yakima River Flow prediction for the next week. 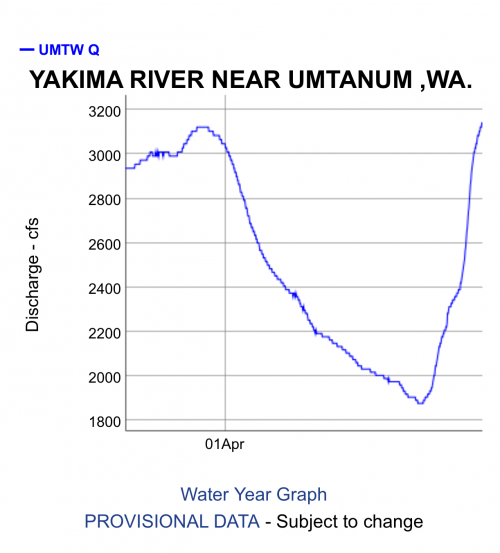 Current screenshot of the Yakima flows….northwest river predictions show the river heading to 7K, reportedly to flush the salmon smolts. All three of reservoirs are at around 85% full. 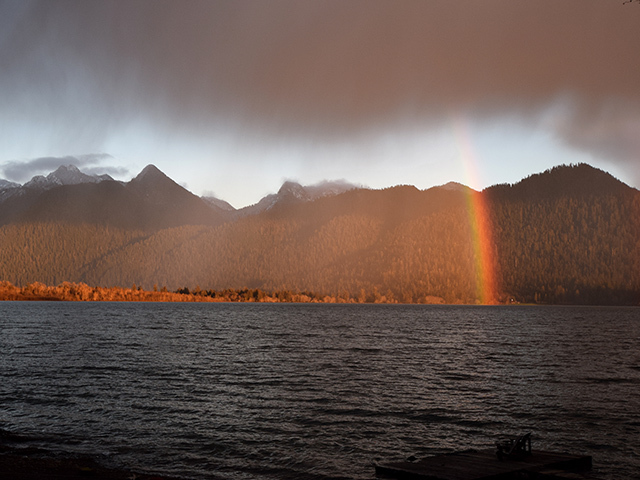 Although we have minimal low lying snow, once the reservoirs are full they have to release. The good thing is the water is clean coming from the reservoirs. 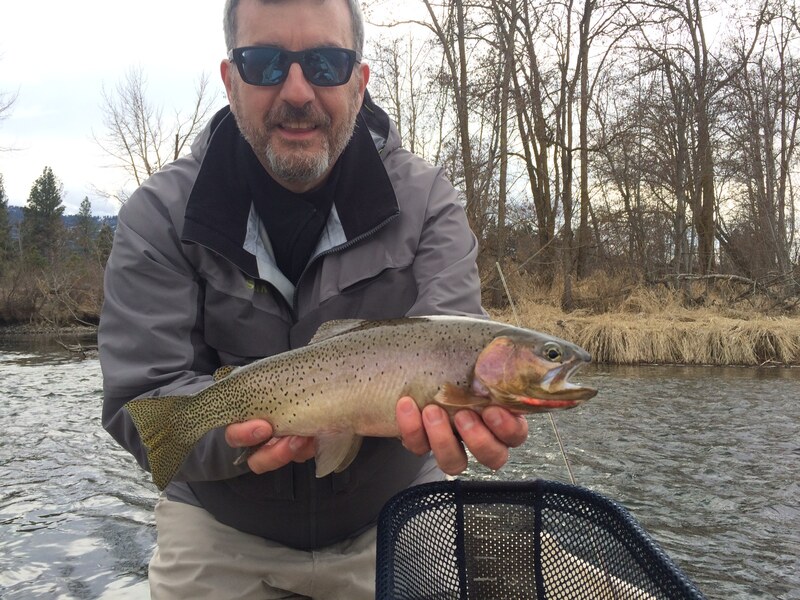 The fishing was ‘off the chart’ on the 4th….But since they have elevated the flows the bugs have been intermittent. 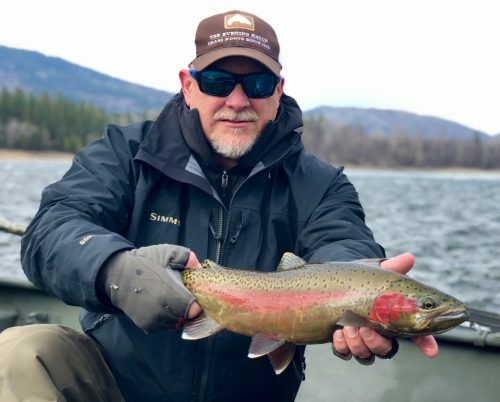 Water temps have dropped due to the cold water releases. 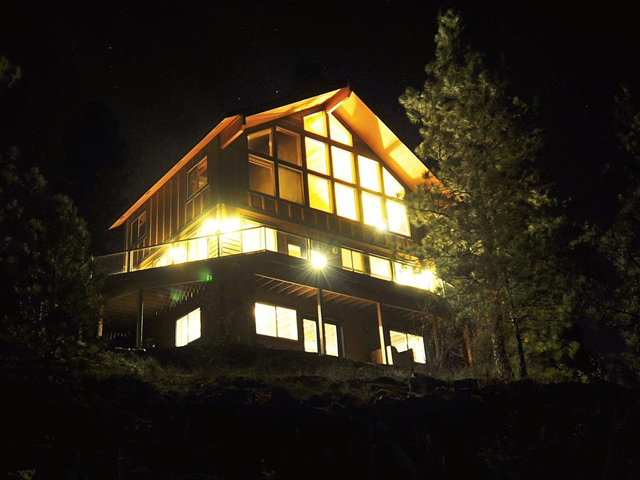 Tough fishing recently…..The window of opportunity is small based on two predominant reasons reasons. 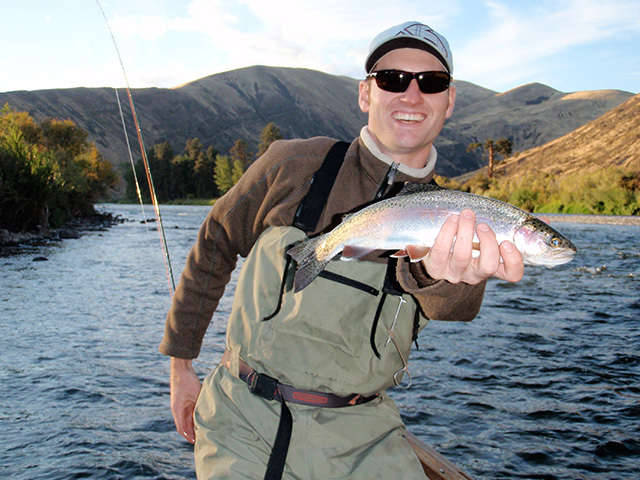 2)Fish are on the spawn otherwise. 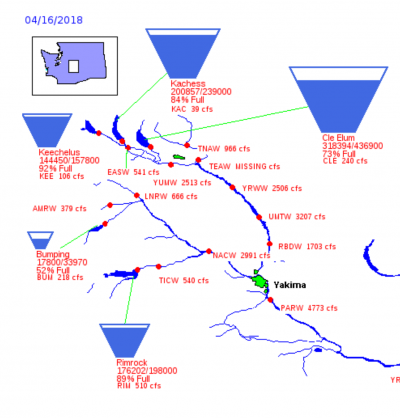 NORTHWEST RIVER FORECAST predicts the river heading to 7000 CFS by the 5th…. That will certainly put a damper on things. 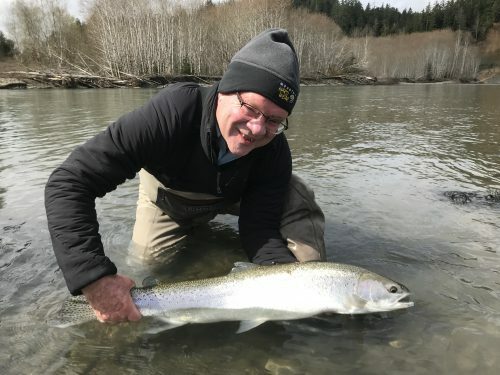 The Blue and Green Artificial Intelligence behind 10 feet of T-11 was the ticket on this fish for Gene pictured above. The same held true for Bob, below. 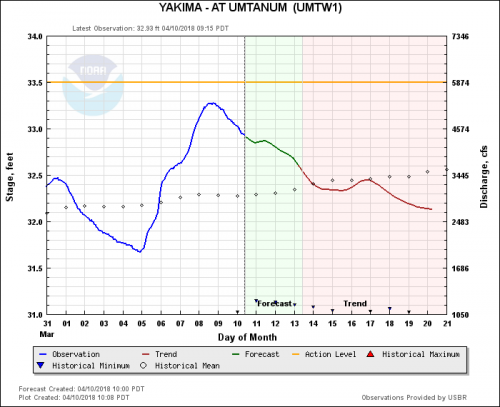 The Yakima has been a bit tricky lately with nothing ‘a given’ Overall water levels for this time of year are big but mostly due to releases from the reservoirs which will be very full this season due to the snow pack at higher elevations.